Although the New Moon series certainly introduced the modern generation to the world of vampires, werewolves and other supernatural creatures, our fascination with mythical monsters is as old as human legend itself. This love of the wicked is reflected throughout the history of movie making, with themes of horror and monsters drawing in audiences since the first days of silent film. 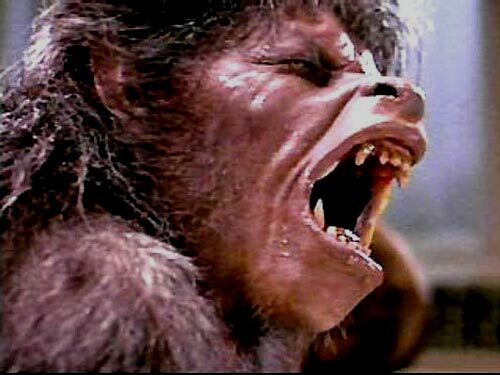 This list presents ten of the favorite werewolves as we have known them in cinema over the years. ?? 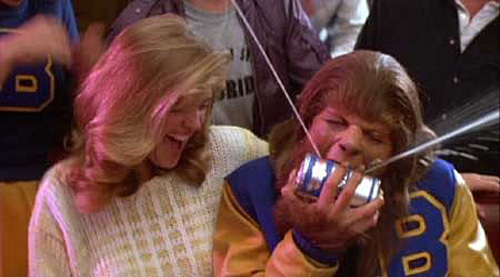 Click here for GREAT collection of werewolf pix ?? 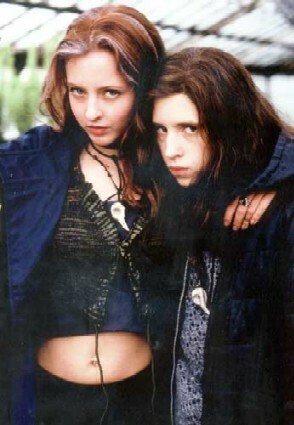 The movie, which tells the story of two sisters who are obsessed with death and the supernatural, was mildly successful at the box office but achieved a significant cult following with its release on DVD. It is a dark movie, with unexpected plot twists and revelations of deep emotion and human feelings over the horrors that take place. And this is a real horror movie, as in unsettling, disturbing, makes-your-skin-crawl kind of stuff. Though not for the faint of heart, this movie is an intense addition to the Werewolf movies genre. Lucien makes the list partly because the Underworld series of movies is a seminal work in the modern Vampire / Werewolf genre, but more than the movies, his character rises from slavery to lead the Lycans (werewolves) and becomes a more central figure as the series evolves. 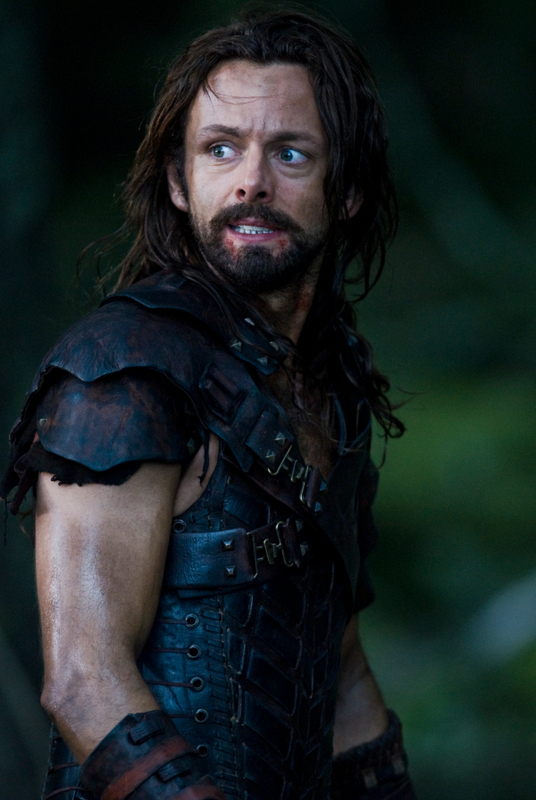 The werewolves were slaves to the vampires, but under Lucien’s leadership, the Lycans captured the Vampire stronghold, and Lucien rose to become “was the “most feared and ruthless leader ever to rule the Lycan clan”, according to Selene in the opening of the first movie. Lucian is portrayed as being significantly more sophisticated than his fellow Lycans. His leadership is what keeps them disciplined. 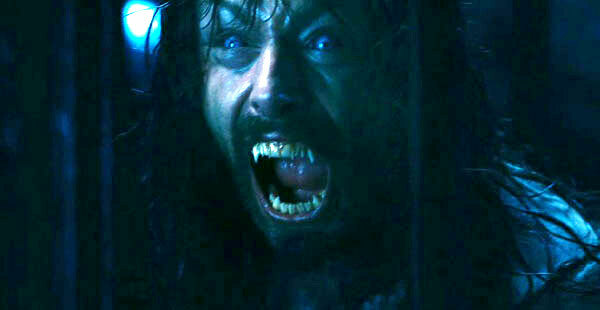 Even though he is at war with the Vampires, it is revealed in Underworld and Rise of the Lycans that his main goal was protection of his species and equal treatment from the Vampires. Scott had no idea what his family history had in store for him, and it made a great movie with an unexpected werewolf as the lead. High school student Scott Howard (Michael J. Fox) is seventeen years old, sick of being average and wishing he were special. His average father runs a local hardware store, Scott is an average player on his school basketball team� and the girl of his dreams barely knows that he alive. typical teenager stuff right? Well, one day Scott feels a little weird, locks himself in the bathroom, and out of nowhere he undergoes a complete change and becomes a werewolf. Turns out that this runs in his family, and as he learns to deal with it and harness his powers, popularity and all the good stuff of high school comes his way. This werewolf slam dunks instead of tearing people to shreds, and it makes for a very entertaining bit of movie fun. 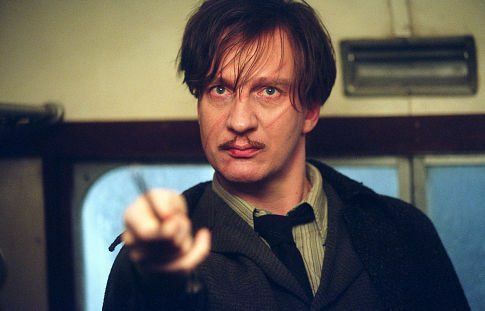 One of Harry Potter�s professors, Lupin does his best to hide his lycanthropy, but Harry discovers Lupin�s true nature. Lupin is different from the other traditional horrific werewolves of movie fame in that he isn�t a bloodthirsty killing machine when he�s in his wolf form. However, school systems being strict in their recruiting and tenure policies, werewolves just aren’t on the list of approved characteristics of a good teacher, even in Harry Potter. He�s forced to tender his resignation to Hogwarts despite the fact that he doesn’t kill and eat the students and that he comes back to save Harry and friends at a crucial moment. Wheelchair-bound teenager Cory Haim, his sister and his alcoholic uncle (Gary Busey!) uncover a werewolf who has terrorized a small New England town for years. This is one of the few Stephen King adaptations in which the script was actually written by King, which is a big part of why it is sucha� good movie. 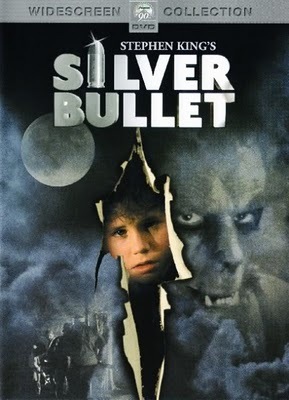 Silver Bullet captures his rich, nostalgia-strewn portrait of small-town life and the paranoia, anguish and anger caused when a werewolf begins picking off residents right and left. At its heart, though, it’s a good old-fashioned murder mystery with just enough humor to lighten the mood. The movie manages to incorporate all the classic werewolf cliches, yet as a movie, is not all cliched. 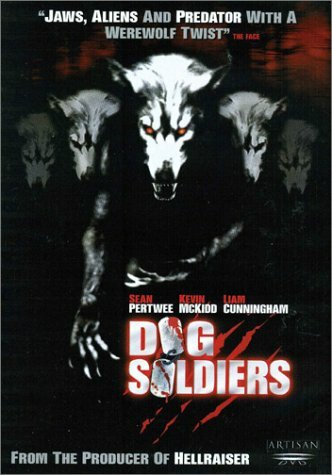 this low budget, but well made horror flick has a squad of soldiers wandering around Scotland on a routine training mission, only to find out they are really there as bait for werewolves. Lots of guns, guts and gory glory. The movie features a ton of pop culture references, some fine acting, good old fashioned scary bits and lots of action. The werewolves are cool, the military action is authentic enough, and the analogy of the pack of werewolves and the squad of soldiers is a good one. It never had theatrical release in America, but did very well in the UK. Scary and suspenseful with outstanding effects, yet still peppered with self-referential comedic touches, The Howling is an absorbing story of a TV news reporter (Dee Wallace) who ventures to a psychiatric resort after suffering amnesia and discovers that it’s overrun by werewolves. 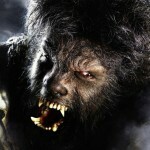 The movie was one of two films to feature a werewolf transformation with high quality special make-up effects that had never been accomplished before �81. 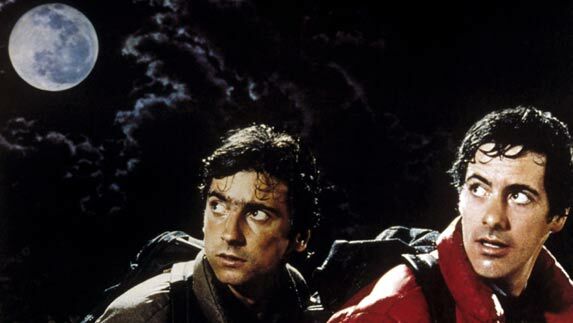 The other film to feature a groundbreaking transformation was John Landis� An American Werewolf in London (make-up effects created by Rick Baker), which was released the same year. 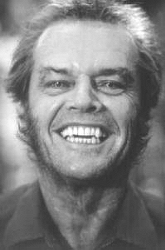 Jack Nicholson has played some of moviedom’s favorite crazies. Certainly he is a terrific actor in his own right and has also killed in many “straight” roles, but we love him when he goes over the deep end. 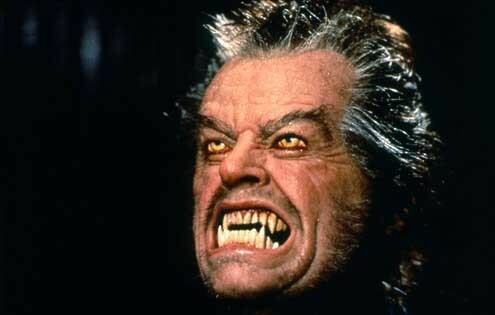 And Jack plays a great werewolf. The character of Will Randall is fully brought to life in the movie Wolf, with Jack adding that touch of humanity that only he can in such roles. The Wolf Man, which stars Claude Rains, Lon Chaney, Jr., tells the tale of an American visiting his ancestral home in Wales, and is the quintessential classic story of a man�s transformation into a werewolf. This iconic film set the standard for werewolf movies, introducing the concepts that werewolves are vulnerable to silver and are marked with a pentagram. Lon Chaney, nicknamed in Hollywood as the “man of 1,000 faces”, starred in the movie and created the character that has ever since been used as the definitive look and personification of the Werewolf. 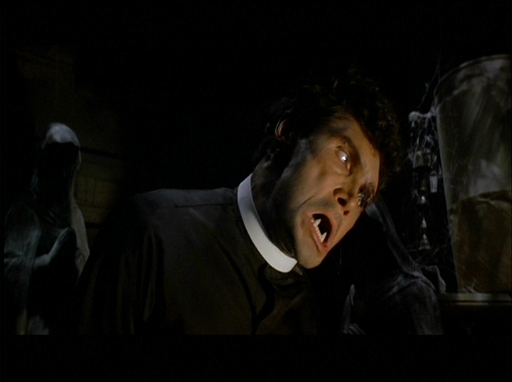 Rather than the blood and gore of the modern genre, the original movie was focused more on the psychological struggle and human side of the characters. The presented the wolf man as the beast in all of us, the part of us we don’t want others to see, the part of us we may not even want to see ourselves. 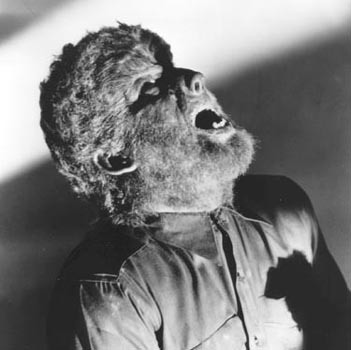 Lon Chaney Jr depicts his struggle with the monster within him with pathos and turmoil, a theme that was also mirrored in American Werewolf in London. The cast includes other noteworthy actors known in the horror genre, Bela Lugosi and Claude Raines. While backpacking with his friend through the Scottish countryside, David gets lost in the moors and ends up being bitten by a werewolf, which gives him the bloodline. He first devours his friend, then proceeds to attack and kill several people in London before meeting his own demise. 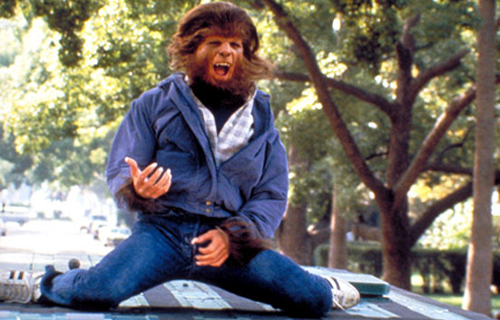 The movie features a classic scene of transforming into a werewolf (see the video clip below) to the song “Bad Moon Rising”. While the movie is somewhat lighthearted in spots, there are some very gruesome scenes and an underlying theme of struggling with the pain that the human side of the werewolf realizes he has caused his victims. The effects, solid acting and well crafted storyline place this movie at the top of the list. 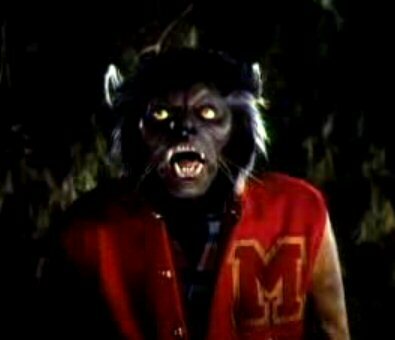 Michael Jackson: the accidental werewolf. This may be a music video, but it is an MTV video with an actual movie and was absolutely groundbreaking in its day. It shocked and scared some people, but more than anything, it brought music video production to a new level, and showed the world that the King of Pop had some real chops as an actor. He also made a great zombie. During the video, Jackson transforms into both a zombie and a werecat (although makeup artist Rick Baker referred to it as a �cat monster� in the Making of Thriller documentary). This was familiar territory for producer John Landis, who had directed An American Werewolf in London two years earlier. Points well taken – thank you for the corrections! Cheers. An American werewolf in London is well deserved to be at number 1 but a couple of your points about it are wrong. 1. David Kessler and his friend were not attacked in Scotland in fact they never vistied Scotland in the movie, they were attacked on the Yorkshire Moors in northern England. 2. David Kessler does not kill his friend, the werewolf that attacked them both killed his friend. Otherwise a great list! Awsome list. I am really impressed! Need more werewolf support out there! Always nice to see werewolves in the spotlight I have to point out that at number 4 you have Eddie Quist but the picture is of his sister Marsha.